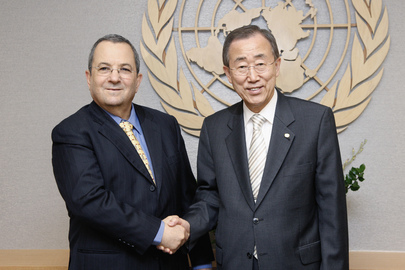 At UN, Ban Ki-moon Plans Quick Unveiling of Flotilla Panel Win, With N.Zealand Chair, Sources Say, An End to Leaks? They said Israel has agreed to Ban's -- or really the Security Council's -- idea of a independent panel about the assault on the Gaza flotilla. They said that while the UN's cursory Friday evening read out didn't say it, the unveiling of Ban's “win” would take place next week. Some who spoke to Ban later on Friday night said the announcement will be Sunday evening, and that the chair of the panel will be from New Zealand, with other members from Israel and Turkey. Team Ban, typically, sees this development in the context of Ban's recent travails triggered by the leaked End of Assignment memo by Inga Britt Ahlenius, until then the UN's chief of the Office of Internal Oversight Services. Trying to combat the memo's critique, including of Ban's diplomatic skills, Ban has deployed first his chief of staff, then his chief of Management, without much impact. 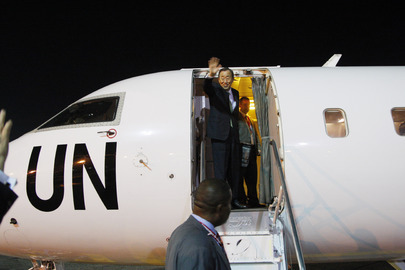 To package and unveil a diplomatic win, just before Ban travels for the week to Hiroshima in Japan, seems to Team Ban a true turning of the corner. We'll see. According to Ban administration sources, in Ban's closed door selective briefing to some Japanese reporters to hype up his trip, Ban asked for “East Asian solidarity” in fighting leaks and attacks on his image. He complained he was particularly offended by Ahlenius' critique since he had thrown her a retirement party and invited her into his home. It's an Asian thing, he in essence said, this simply isn't done. What, leaking? Whistleblowing? Criticizing one's boss?